Eggs are something which I just can’t resist. In fact, I freak out over those lovely white (sometimes brown) oval objects. I am sure that there are many like me. But we are scared to consume them! Scared that we would certainly die if we don’t stop eating them. There are so many scary stories about eggs which we know since the time we started knowing. But hey, all you egg lovers, there is light at the end of the tunnel! Read the following lines and get to know some startlingly fresh facts about eggs. It was previously thought that eggs raised blood cholesterol levels — one of the main causes of heart disease. The yolk in a single large egg contains five grams of fat, so it was quite natural for the doctors to assume that eggs clogged up people’s arteries, especially since they also contain dietary cholesterol . Another myth was that fat is cholesterol. That is simply not true. Cholesterol is a waxy substance that resembles fat, but has little to do with it. Today, scientists know that cholesterol content in food and the cholesterol in our blood aren’t as directly related as once thought. 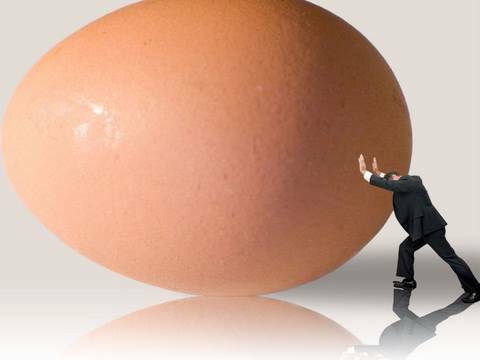 So to know more about egg, one must have a look at cholesterol. One has to understand that cholesterol is not necessarily bad. Humans need it to maintain cell walls, insulate nerve fibers and produce vitamin D. There are two types of cholesterol, dietary cholesterol and blood cholesterol. Dietary cholesterol is found in certain foods, such as meat, poultry, seafood, eggs, and dairy products. The second type (blood cholesterol, also called serum cholesterol) is produced in the liver and floats around in our bloodstream. Blood cholesterol is divided into two sub-categories: High-Density Lipoprotein (HDL), and Low-Density Lipoprotein (LDL). LDL cholesterol is considered bad because it sticks to artery walls. What is bad, is the amount of LDL blood cholesterol in the body. Too much of it can cause heart problems, but scientists are now discovering that consuming food rich in dietary cholesterol does not necessarily increase blood cholesterol. Evidence showing that eating a lot of dietary cholesterol doesn’t increase blood cholesterol was discovered during a statistical analysis conducted over 25 years ago by Dr. Wanda Howell and colleagues at the University of Arizona. The study revealed that people who consume two eggs each day with low-fat diets do not show signs of increased blood cholesterol levels. So what does raise blood cholesterol? Saturated fat does. Of the three types of fat (saturated, monounsaturated and polyunsaturated), saturated fat raises blood cholesterol and LDL levels. It so happens that eggs contain mostly polyunsaturated fat, which can actually lower blood cholesterol if one replaces food containing saturated fat with eggs. A: good for the skin and growth. D: strengthens bones by raising calcium absorption. E: protects cells from oxidation. B1: helps properly release energy from carbohydrates. B2: helps release energy from protein and fat. B6: promotes the metabolism of protein. B12: an essential vitamin in the formation of nerve fibers and blood cells. Iron: essential in the creation of red blood cells. Zinc: good for enzyme stability and essential in sexual maturation. Calcium: most important mineral in the strengthening of bones and teeth. Selenium: like vitamin E, it protects cells from oxidation. If that wasn’t enough, egg whites contain the purest form of protein found in whole-foods. It is so high that nutritionists use them as the standard when comparing other whole-food proteins. Their “biological value” — a measurement used to determine how efficiently a protein is used for growth — is 93.7. Milk, fish, meat, and rice respectively have a biological value of 84.5, 76, 74.3, and 64. The higher the value, the better the protein is absorbed. This is why many bodybuilders include eggs in their diet. When a person eats meat, for instance, all of the protein is not necessarily absorbed and used to rebuild tissue. Protein is a complex substance, which is why bodybuilding protein supplement makers are constantly trying to refine the quality of their product and some protein shake brands boast that their protein is made from egg whites. Each large egg contains 6.3 grams of protein. Chickens raised with lots of sunshine, fresh food, fresh air and room to move around produce eggs which are one of nature’s most nutritionally dense foods. However, there are still some concerns with commercial egg production, due to scientifically formulated chicken feeds. Commercial production methods require hens to spend their entire life indoors, hopped up on antibiotics to prevent infections in crowded quarters. Chicken feed is altered to increase shelf life by removing spoilable nutrients from grains. Essential Fatty Acids (EFA’s) are also spoilable, so the linoleic and alpha-linoleic acids are replaced with a more stable and Non-Essential Oleic Acid. The result is an egg with the same amount of cholesterol, but less EFA’s to transport and metabolize it properly in the body. Plant sterols found in vegetables, which reduce the cholesterol content of eggs by up to 35 percent also are removed from the chickens’ diet. 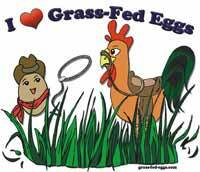 Commercial eggs therefore contain more cholesterol than home grown barnyard eggs or organic eggs. Eggs contain all the essential amino acids in the exact proportions required by the body for optimum growth and maintenance of lean, metabolically active tissue. Experts advise that despite being low in saturated fat, one should not eat more than two eggs a day on a low-fat diet. Egg yolk is mainly fat, so even though it doesn’t raise blood cholesterol levels, it can cause other problems if abused. Contaminated eggs kill up to 5000 individuals each year. One egg in 10,000 is contaminated with salmonella, so you should never eat undercooked eggs or swallow them raw. It is advisable that grills should never be set higher than 250F. Anything above that will leave the interior raw while burning the outside. To get a proper hard boil, an egg should be boiled for at least ten minutes. If an egg has runny parts, it means it is not cooked properly. So, now don’t be scared and let the oval wonder cast its spell upon you.